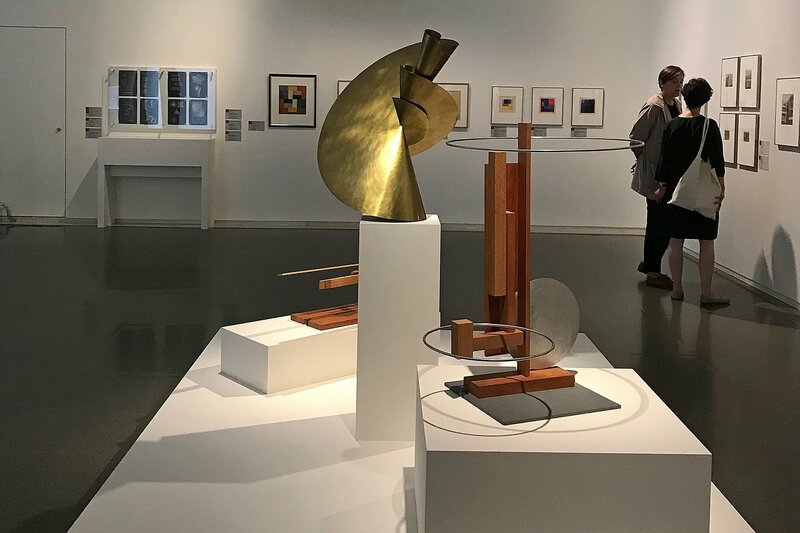 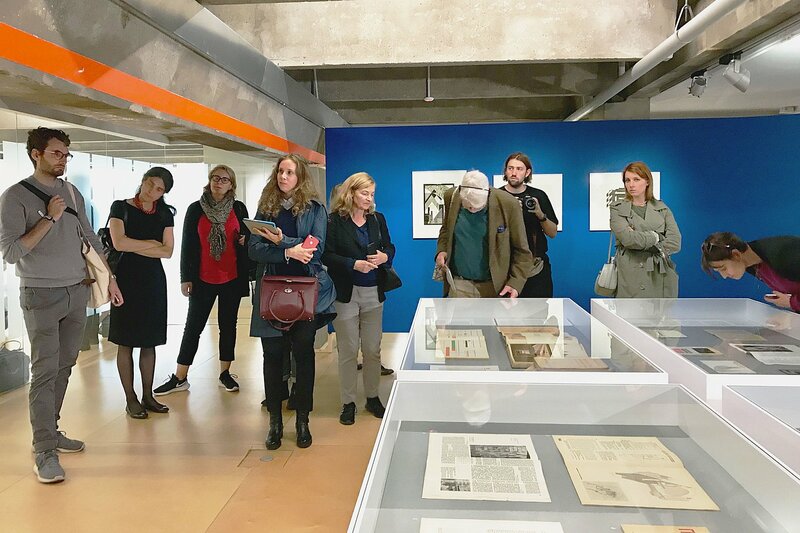 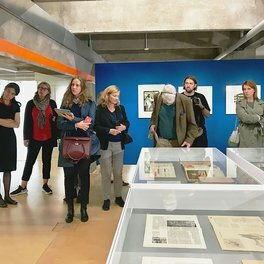 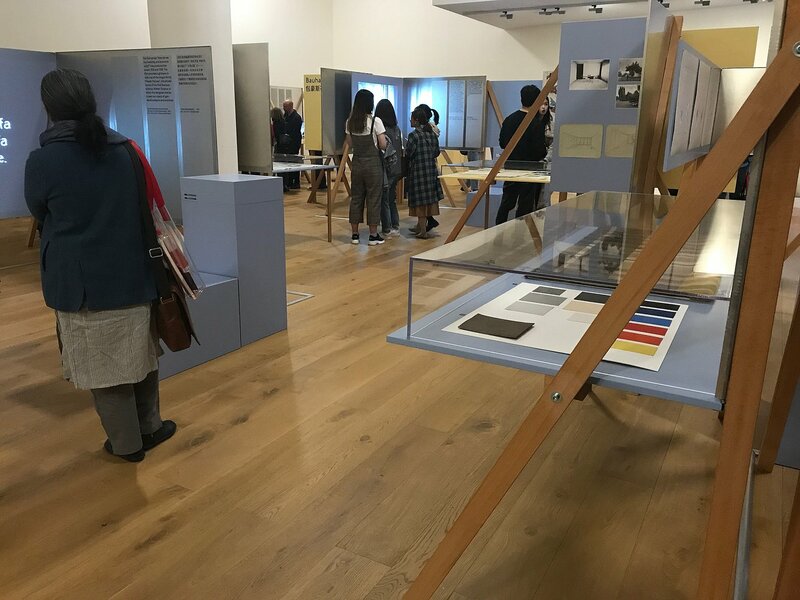 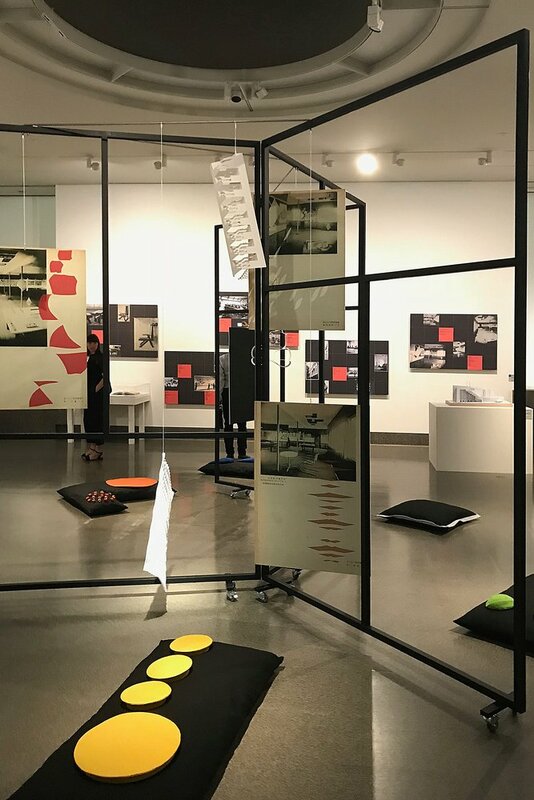 The international exhibition and research project bauhaus imaginista places the focus on the dialogue of the historic Bauhaus, its students and masters, with non-European Modernisms. 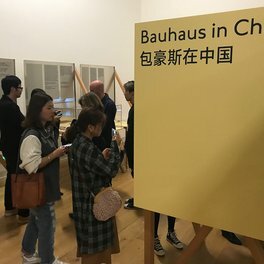 The ideas of the Bauhaus were spread around the world and were translated, adapted and developed by various cultural contexts and corresponded with site-specific movements and ongoing processes of decolonisation. 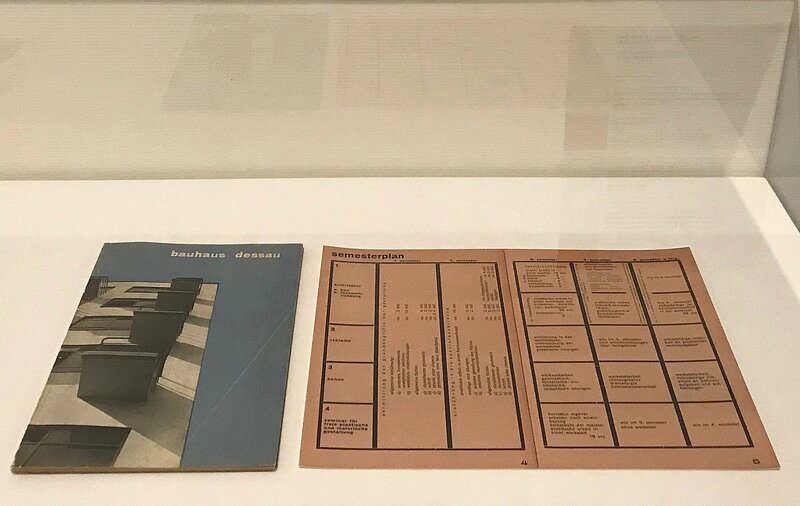 bauhaus imaginista examines this history of the Bauhaus reception, and its current global impact, in a wider range with partners in China, Japan, Russia and Brazil. 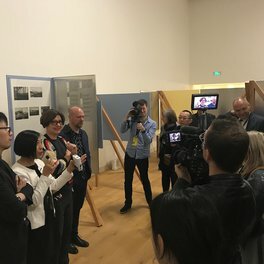 The aim is to create a long-term basis for transnational research and discussion. 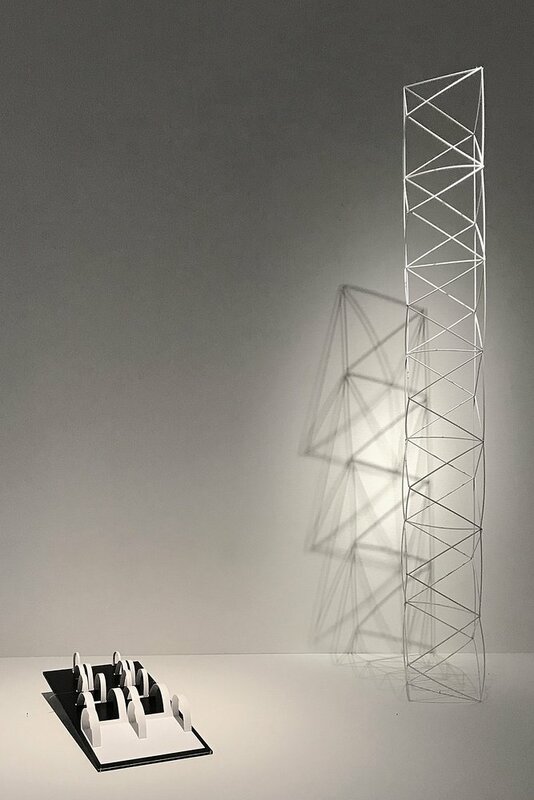 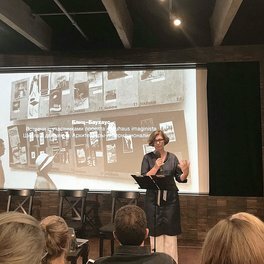 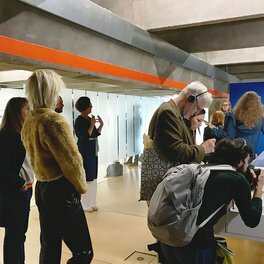 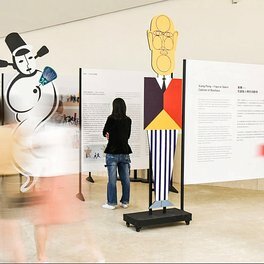 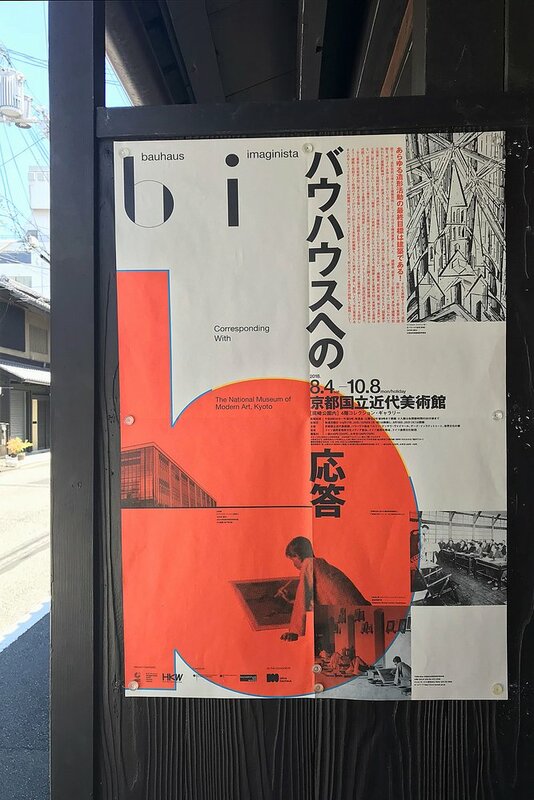 The curators Marion von Osten (Berlin) and Grant Watson (London) develop, in a close research cooperation with scholars and cultural institutions, four exhibitions, which will be shown in various art and design museums and cultural institutions in Japan, China, Russia and Brazil. 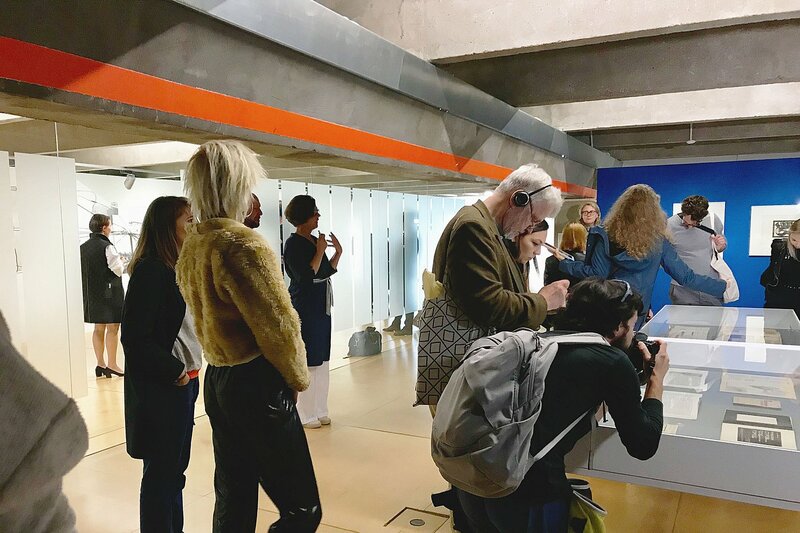 The exhibitions will be extended by events, workshops and symposia in India, the USA, Morocco and Nigeria, enhanced with international perspectives of the Goethe-Institutes. 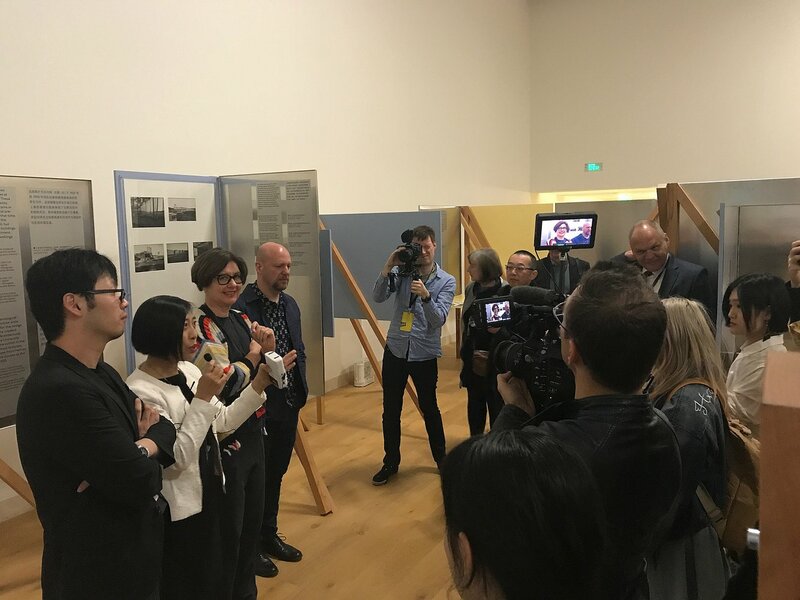 The first stations of the ongoing project took place in March 2018 in Rabat and Hangzhou. 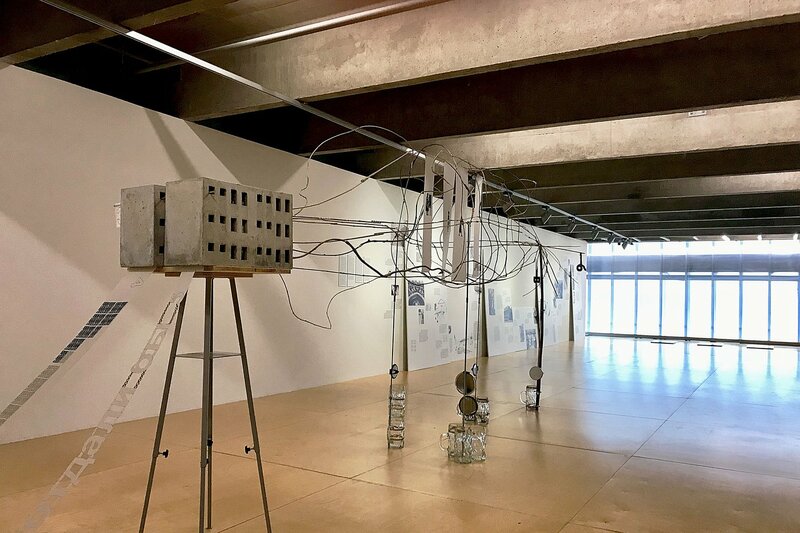 From March to June 2019 the results of the international survey are brought together and are presented as part of ”100 Years of Now“ in Berlin at Haus der Kulturen der Welt. 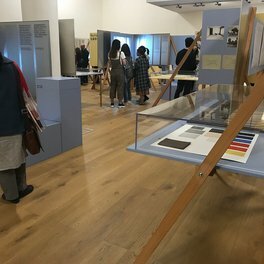 the centenary of the founding of the Bauhaus. 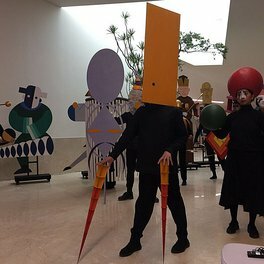 bauhaus imaginista is made possible by funds from the German Federal Commissioner for Culture and the Media. 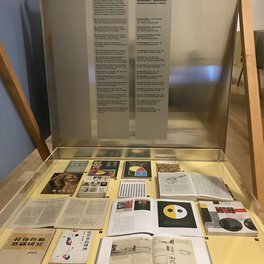 The German Federal Cultural Foundation is supporting the exhibition in Berlin and the German Foreign Office the stations abroad. 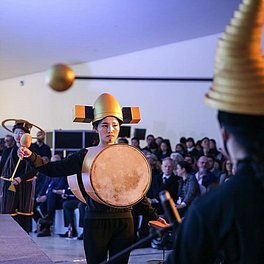 Media partners are 3sat and Deutschlandfunk Kultur. 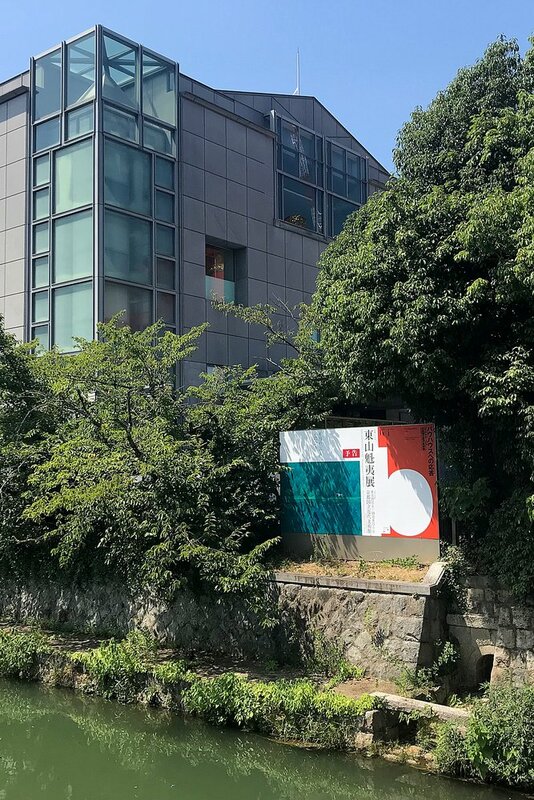 Partners abroad are the Goethe-Instituts in China, New Delhi, Lagos, Moscow, New York, Rabat, São Paulo, and Tokyo as well as Le Cube – independent art room (Rabat) and other institutions. 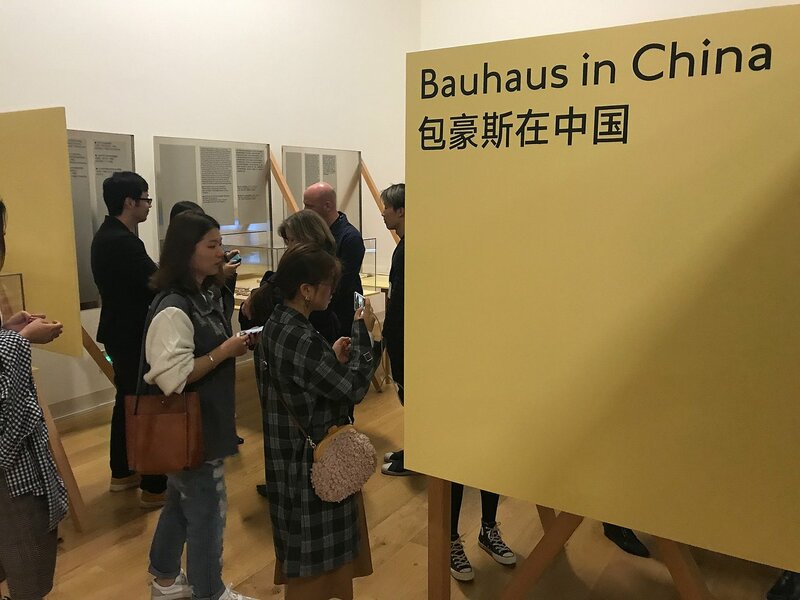 bauhaus imaginista is realised in collaboration with the China Design Museum (Hangzhou), The National Museum of Modern Art, Kyoto, Garage Museum of Contemporary Art (Moscow) and SESC São Paulo. 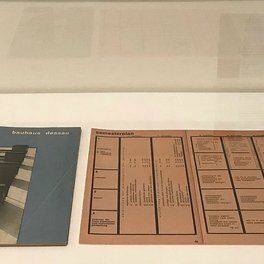 The Bauhaus Dessau Foundation accompanies the project as the leading part of the Bauhaus Cooperation Berlin Dessau Weimar. 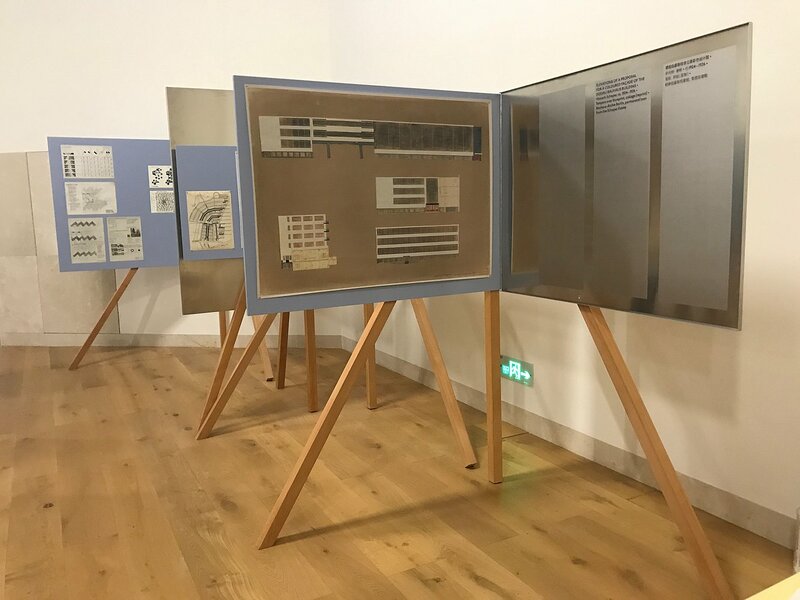 This comprises, next to the research expertise in the field of global modernism, substantial loans from the collection of the Bauhaus Dessau Foundation. 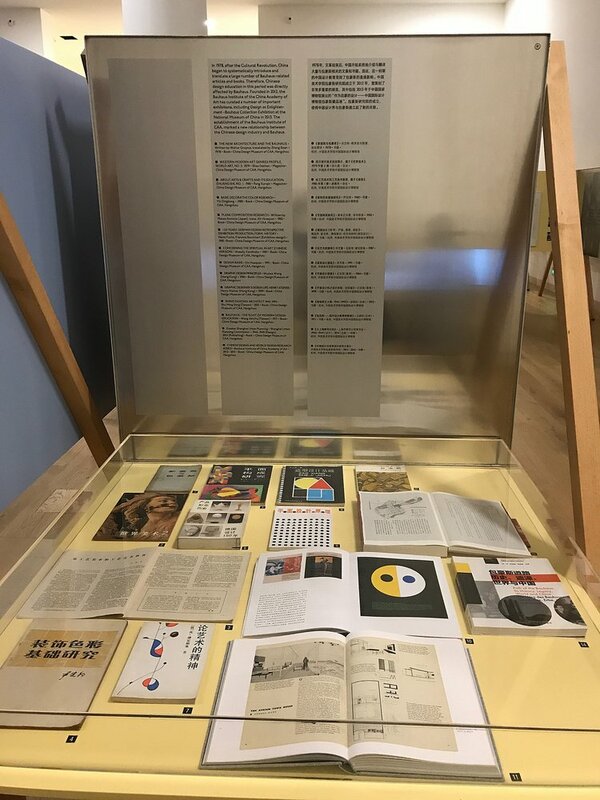 For further information, refer to the online Journal of bauhaus imaginista. 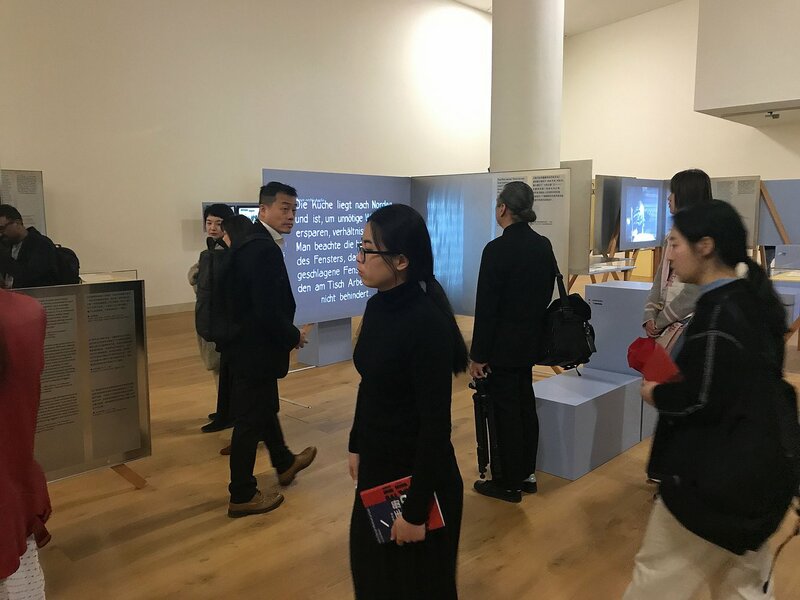 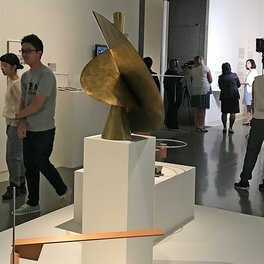 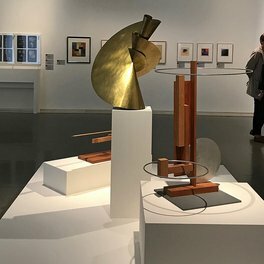 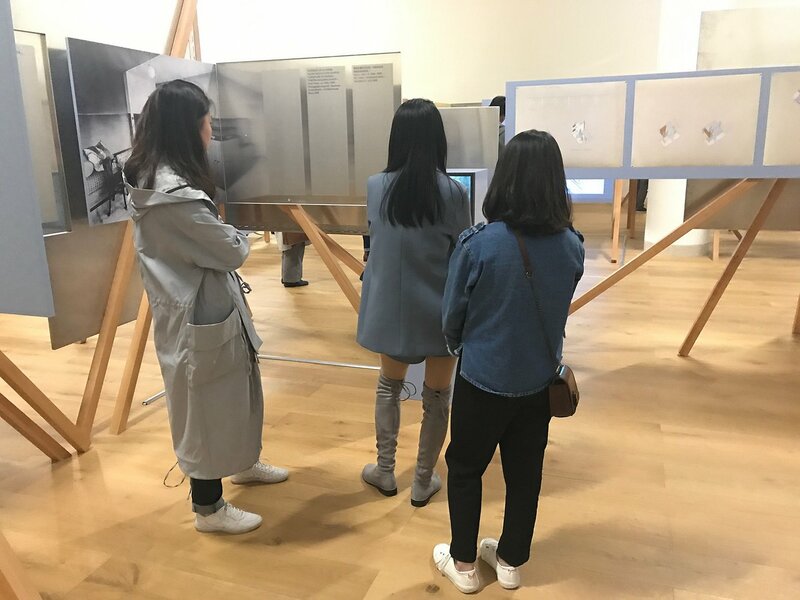 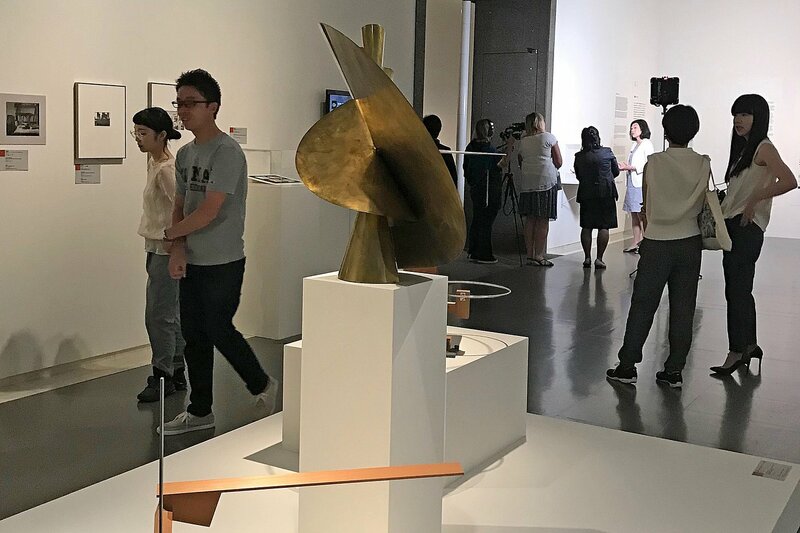 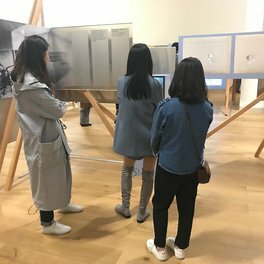 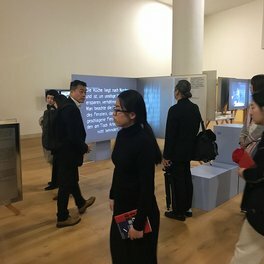 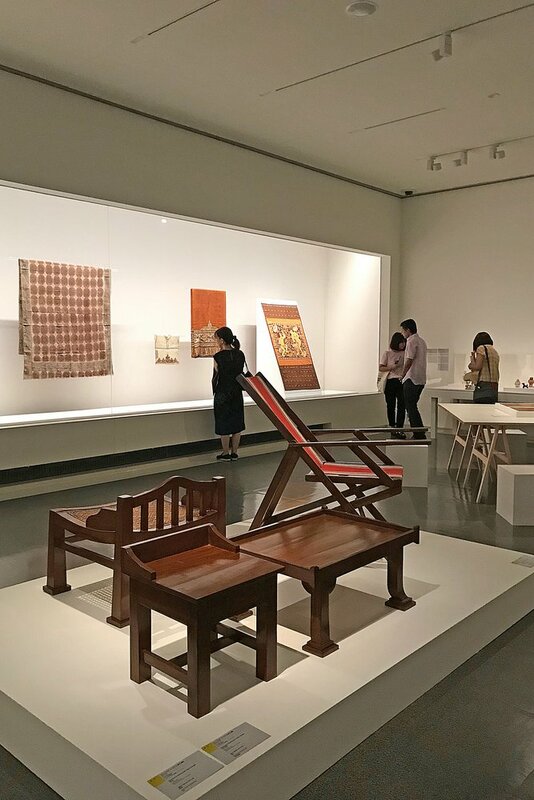 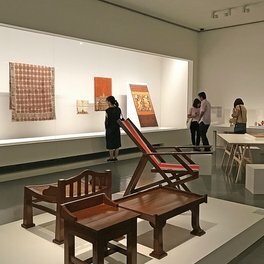 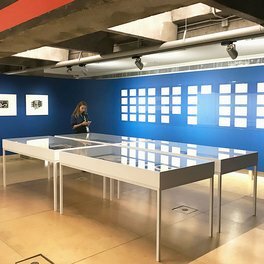 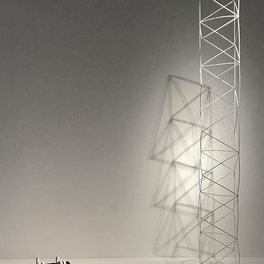 The first exhibition Moving Away opened on April 8, 2018 at the new China Design Museum on the campus of the China Academy of Art in Hangzhou. 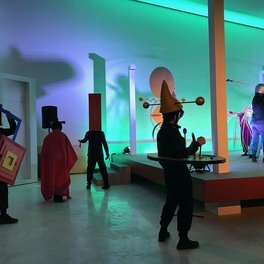 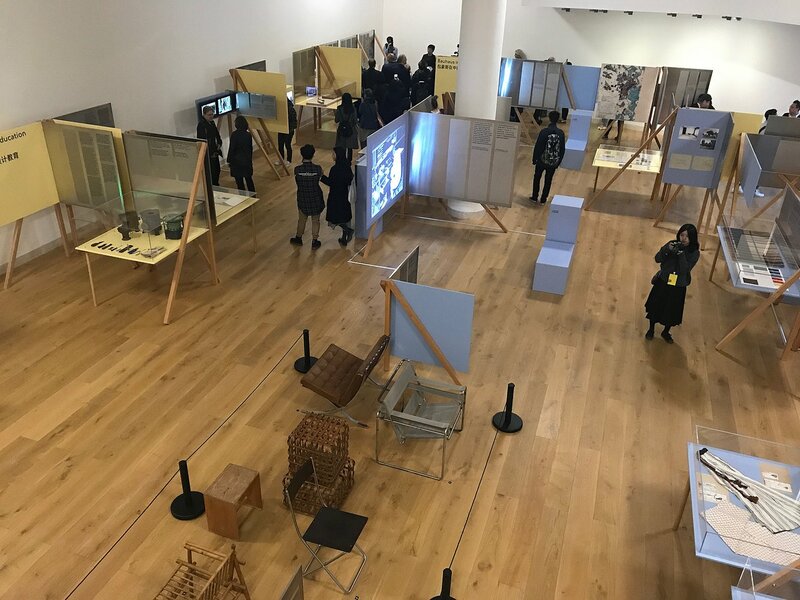 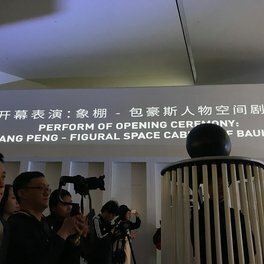 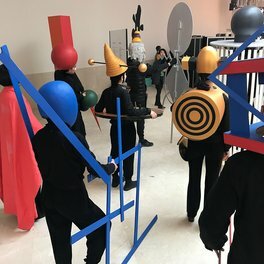 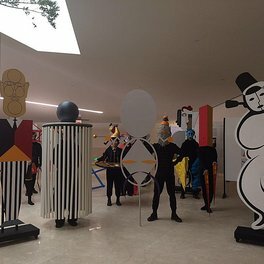 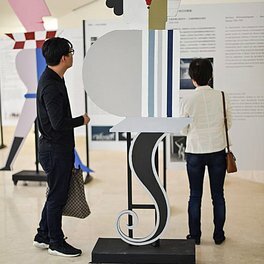 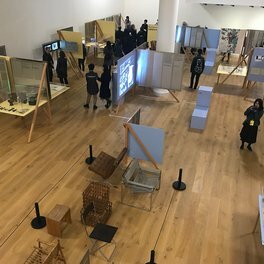 The opening of the new China Design Museum in Hangzhou on April 8 was celebrated with the performance Figural Space Cabinet of Bauhaus by Xiang Peng. 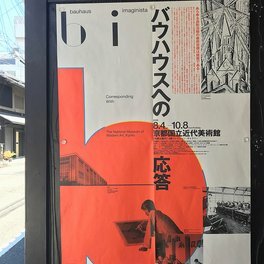 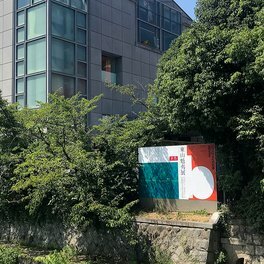 The exhibition Corresponding With opened at the National Museum of Modern Art Kyoto on August 4, 2018. 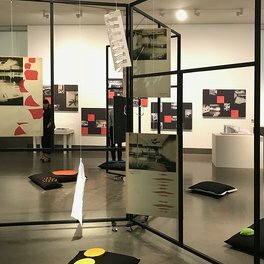 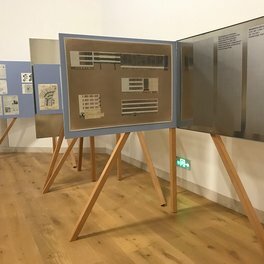 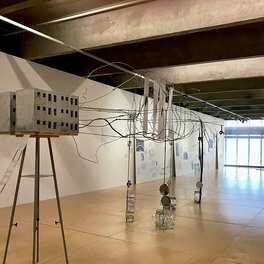 Moving Away: The Internationalist Architect is the title of the exhibition that opened at the Garage Museum of Contemporary Art in Moscow on September 12, 2018. 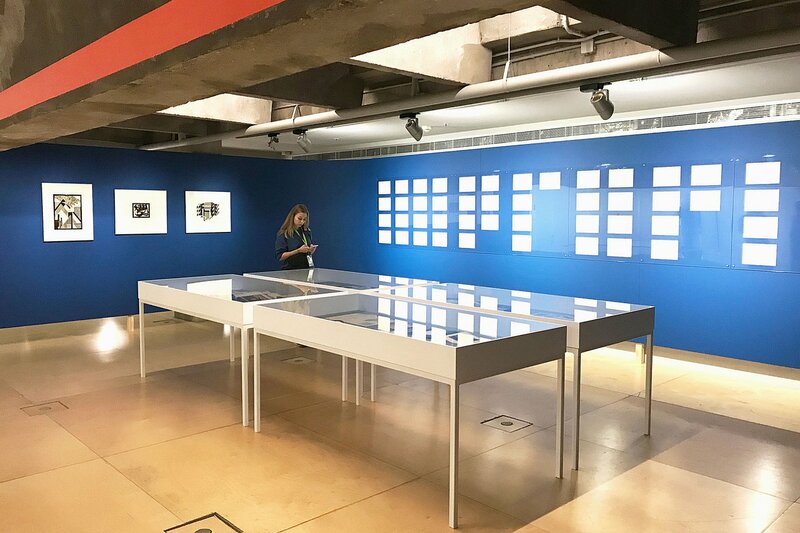 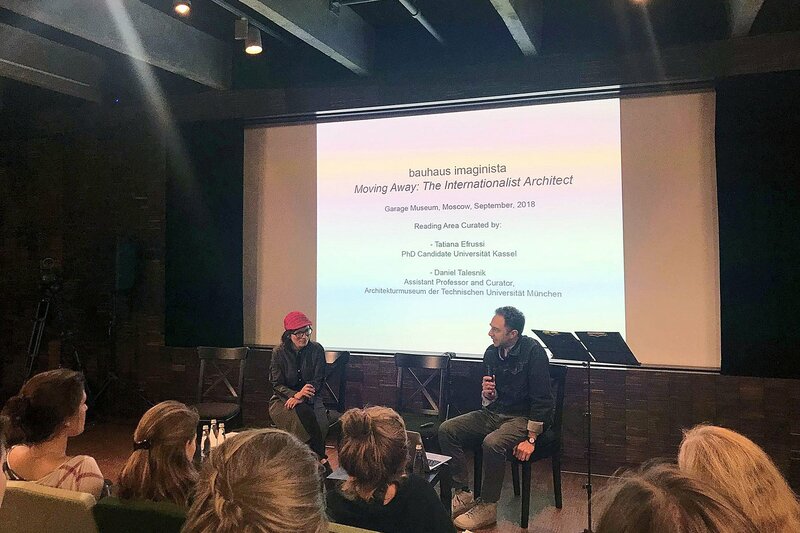 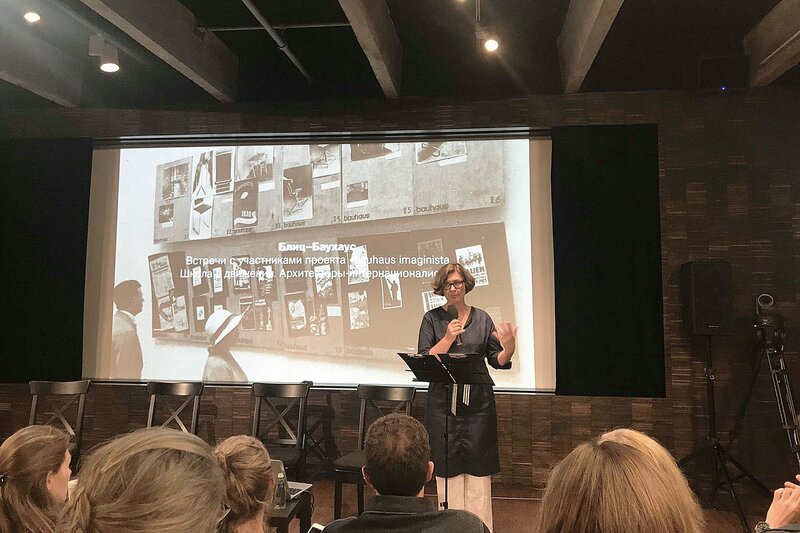 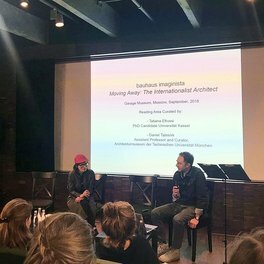 Curators: Marion von Osten and Grant Watson, in collaboration with Anastasia Mityushina, curator at the Garage Museum of Contemporary Art in Moscow, and the historians Anja Guttenberger, Thomas Flierl and Daniel Talesnik.